Festival Hall started life in 1915 as the West Melbourne Stadium, hosting major boxing and professional wrestling promotions. It was rebuilt in 1956 after it was destroyed by a fire the year before in time for the 1956 Olympics Games where it again hosted boxing and wrestling along with the gymnastic events. Its rebirth allowed it to shift gears a bit and it started being the venue of choice for big-name acts looking to thrill their Melbourne based fans. The Beatles, Johnny Cash, Frank Sinatra and Shirley Bassey all graced the stage at Festival Hall. It has also been the choice location for modern acts like Lorde, The Foo Fighters, The Red Hot Chili Peppers and Justin Timberlake. For an open venue of its size, Festival Hall can cater to quite a large number of events of varying sizes. In full mode, it can go from 3,600 patrons as a fully seated venue to 5400 both seated and standing. 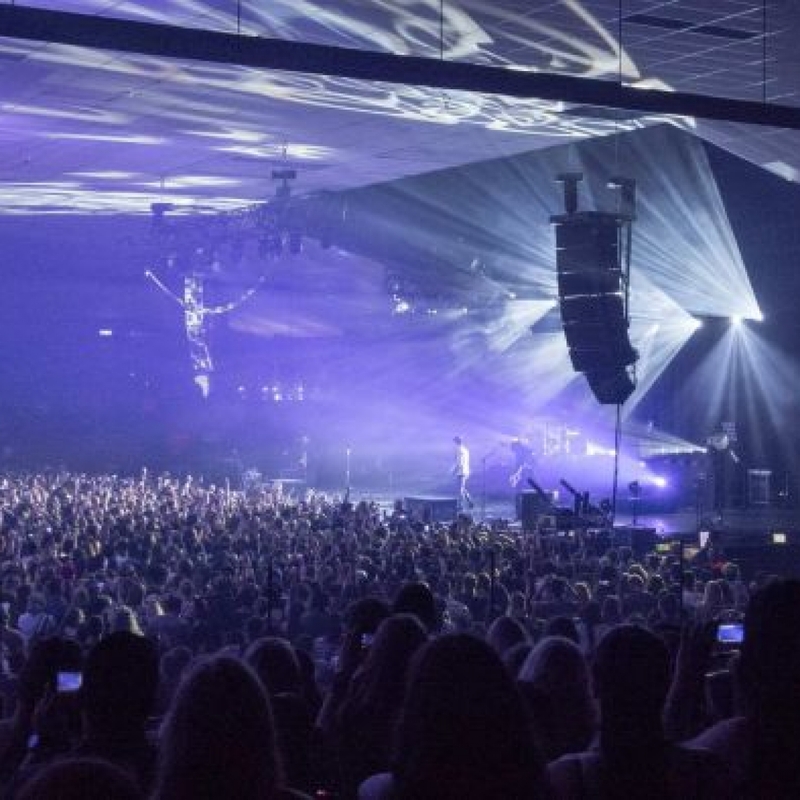 It can reduce itself to a floor-only venue with standing only room for 2000–2600 concertgoers. When it comes to entertainment on this area of Dudley Street, Festival Hall is the biggest game in town. There's no chance of a sit-down meal in the hall, but a short 10-minute taxi ride or uber into the CBD or China Town will open up a world of dining options for patrons wanting to fill their stomachs before a concert. Festival Hall can be accessed by tram routes 30, 35 and 86. Get off at the corner of Latrobe and Spencer Streets, Festival Hall is 5 minutes away by foot. If travelling by train getting off at Southern Cross Station means that the club is 15 minutes away by foot. From North Melbourne Station it's 10 minutes away on foot. By bus, travel along route 220 and get off at stop number 5.